Charlotte is our Cambridge Lettings Manager and holds several years of experience in Property Management, Lettings Negotiation and Valuing. She ensures the smooth running and development of the department, and her qualifications with ARLA provides her with a wealth of knowledge. Gillian is the Residential Lettings Accounts Manager. One of the most experienced members of the team, Gillian ensures the smooth running of the landlord and tenant accounts. Talitha is our longest serving Property Manager. Talitha has a wealth of knowledge and experience giving landlords complete confidence and peace of mind that their property is in safe hands. Megan joined Redmayne Arnold & Harris in 2016 as a Lettings Negotiator. Alongside the application process, Megan is responsible for the valuing and marketing of new properties in Cambridge and the surrounding villages, ensuring our clients properties stand out on the market. Maddy has a wealth of knowledge and experience in the lettings department, and is now working in the Residential Lettings Accounts Department in the role of Residential Lettings Accounts Assistant. Becky has many years of experience in the lettings industry. Joining us in 2017, she looks after a portfolio of managed properties. She ensures the smooth running of tenancies from move in right through to check out. Hannah is our Great Shelford Lettings Manager and has over 10 years’ experience in property management, lettings negotiation and valuing. She continues to drive the department forward, growing the portfolio and providing excellent service to landlords and tenants. Having recently joined the team in 2017, Nicola assists with the day to day running of the Residential Lettings Accounts Department. Chris is a Director at RAH and manages the Lettings and Investment Department. He is also an experienced property professional with his own portfolio of buy-to-let property including houses in multiple occupancy (HMOs). His extensive knowledge of the Cambridge rental scene is invaluable to our existing landlords as well as to investors looking to tap into the strong Cambridge market. 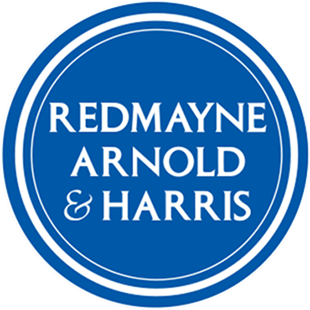 Abbie has recently joined Redmayne Arnold & Harris as a Property Manager. She handles all aspects of the tenancies for her clients as well as the day-to-day maintenance and tenant liaison. She is committed to professional development is currently studying for her ARLA exams. Jade is an ARLA qualified property professional who has worked in Residential Property Management for 10 years, having worked for a large international Letting Agency before joining Redmayne Arnold & Harris. Ruby started her property career in London where she gained experience in property management and lettings negotiation. Her move to Redmayne Arnold & Harris has allowed her to return to Cambridge and focus her skills in the area where she grew up. Hannah has recently joined the lettings department at Redmayne Arnold & Harris as a Lettings Negotiator. She handles all aspect of negotiation from viewings, marketing, application process and drawing up tenancy agreements.